4 pound container of unscented powder instrument cleaner. 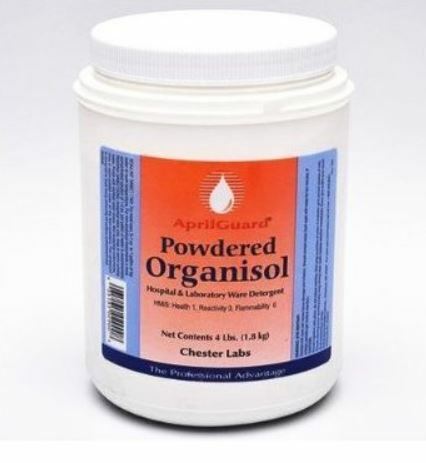 Organisol detergents are effective on surgical instruments, laboratory porcelain, rubber, plastic and glassware. Effectively dissolve, suspend, and digest dried blood, serum, tissue samples, culture nutrients and other proteinaceous matter. Cleaning is quick and easy with no scrubbing. 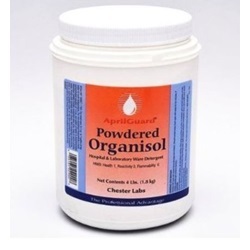 Formulated to be biodegradable with a sequestering agent that makes it just as effective in hard water as in soft.